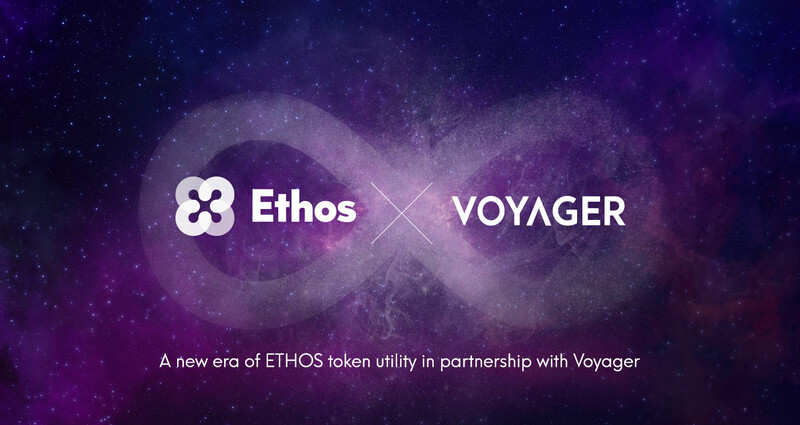 SINGAPORE, December 6, 2018	(Newswire.com) - ​On the heels of a recent strategic partnership announcement between Voyager Digital Holdings Inc. and Ethos.io, Ethos is now unveiling plans to offer cashback rewards to ETHOS token holders that trade through the Voyager platform. Ethos Universal Wallet will be integrating Voyager's trading technology, enabling seamless commission-free trading, with best-execution speed, liquidity and price across multiple exchanges directly from your wallet. "The cashback feature in partnership with Voyager breaks new ground in bringing an innovative reward mechanism to consumers and token holders. Not only will the service be commission free, but users will have the opportunity to get paid to trade." Our mission is to build a financial ecosystem that is open, safe and fair for everybody. Ethos harnesses the power of design, technology and social intelligence to enable everyone to participate in the New Economy.